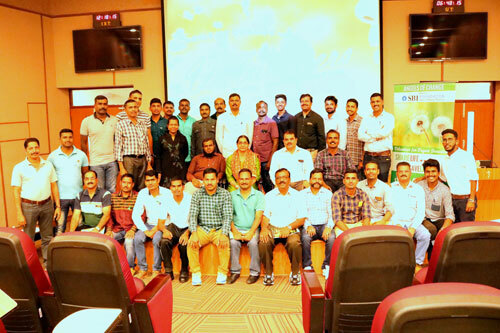 MOHAN Foundation was invited by the Central Industrial Security Force (CISF) team from ISRO (Indian Space Research Organization), Bengaluru on 05th and 06th December 2018 to organize a training session for its employees. 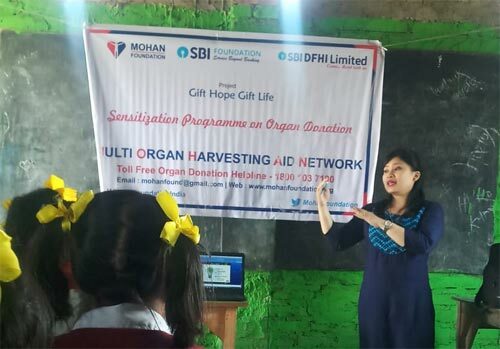 Dr. Kishore Phadke, Convener and Mr. Naushad Pasha, Transplant Coordinator from Jeevasarthakathe and Dr. Hemal Kanvinde, Quality Assurance Officer, Mr. Sridhar Hanchinal, Honorary Director and Mr. Siva Shankar, Helpline Executive from MOHAN Foundation conducted the session. On Day 1 the session began with Mr. Sathish, Inspector introducing MOHAN Foundation and Jeevasarthakathe staff to the participants. 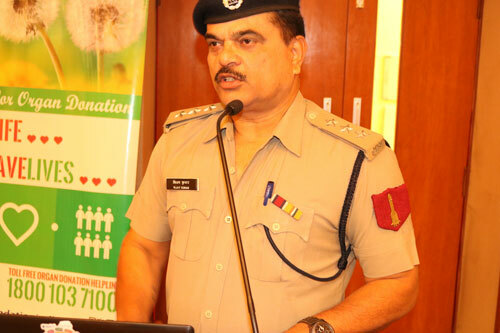 Mr. Vijay Kumar, Assistant Commandant gave a welcome speech, mentioning the need for a organ donation in the society. 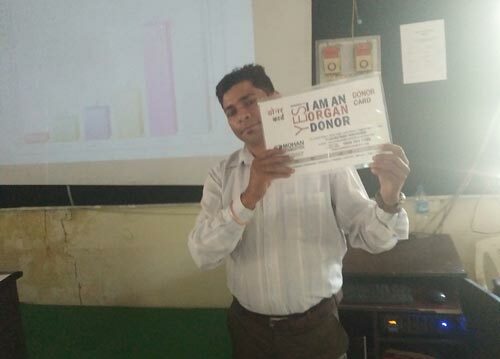 The session then continued with Dr. Kishore Phadke, Convener – Jeevasarthakathe speaking on the need for Deceased Donor Program and the statistics relating to donations done from January 2018 till date. 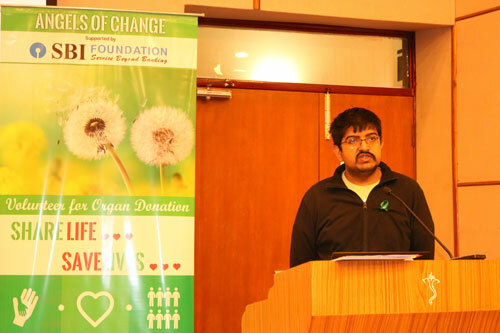 He also emphasized on the need for organ donation. 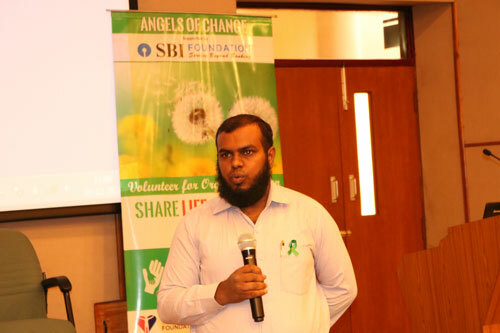 Dr. Hemal Kanvinde explained the need for training Angels of Change, activities done by the earlier angels and described the contents of the training manual. 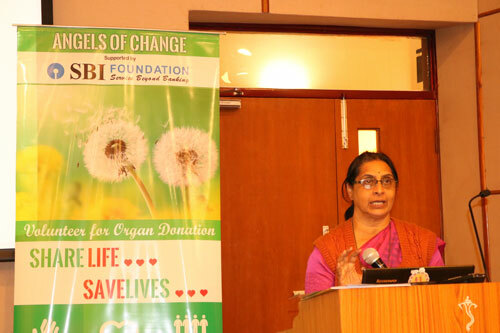 The session followed with the explanation of concepts of organ donation by Siva Shankar. 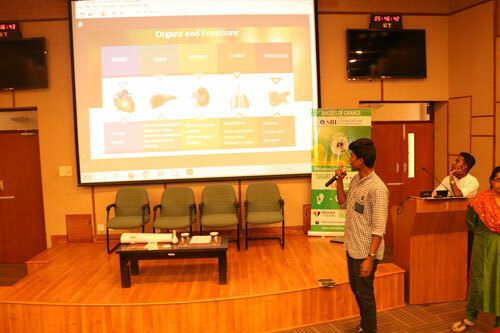 He covered the following topics: the need for organ donation, organs and tissues that could be donated, types of donors, brain death and coma and myths on organ donation. 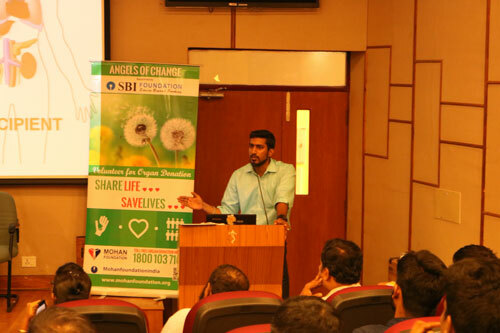 Mr. Pasha, Transplant Coordinator, Jeevasarthakathe took over by explaining the difficulties encountered at the time of a probable organ donation at hospitals. 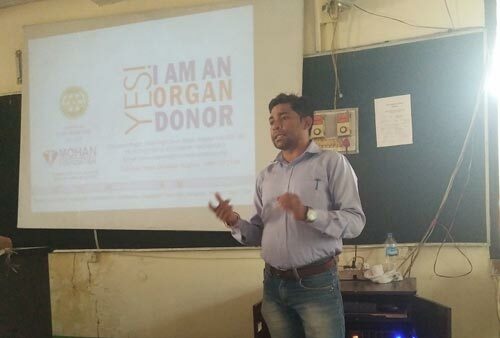 He shared his experiences in making successful organ transplants possible through counseling. Every officer was then able to understand why awareness is the need of the hour. Mr. Neeraj, who is on medication for kidney related health issues, shared his experience on how he controls his diet and the day-to-day activities he follows. He ended his session with a short demonstration of meditation techniques for good health. 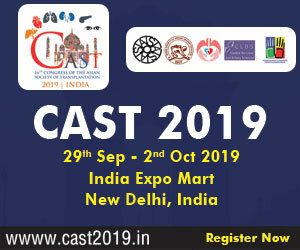 The participants were then divided into groups and assigned activities to help them learn certain skills – talking in public, conducting a survey and organizing events. 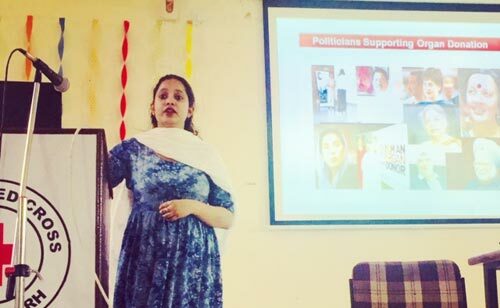 They were told to prepare and present the assigned tasks the next day on ways to reach out to the public for promoting the cause. Day 2 started with a session that involved writing an imaginary thank you letter to a donor family after receiving an organ. A video of a recipient thanking his donor family was shown to the participants before this task. Three participants whose letters were excellent were given mementos. 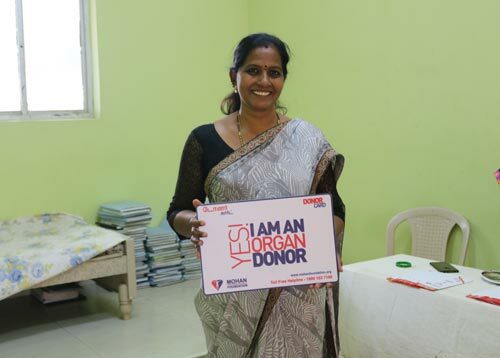 A participant had also made a poster depicting the organ donation message. Protocols followed in hospitals during an organ donation and transplantation scenario were explained through a role play with participants assuming various roles. Dr. Hemal moderated this session which turned out to be very lively. The participants then presented their survey results which were collected from other colleagues on the first day. They shared their experience on the difficulties faced while conducting the survey. 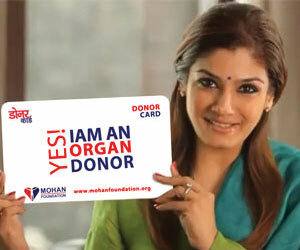 They were able to understand what the public honestly thinks about organ donation during the survey. The session then continued with members of each group talking about how their tasks were executed. 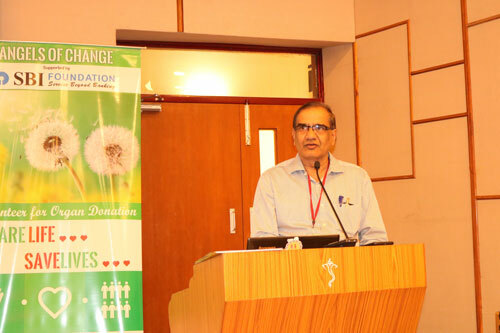 Mr. Sathish thanked MOHAN Foundation for conducting the session and Mr. Vijay Kumar felicitated Dr. Hemal Kanvinde. The session ended a group photo being clicked and CISF promising that they would definitely invite MOHAN Foundation again for training the upcoming batch of new staff.